Today will be taking a look at the Antec DF500 RGB Case. It features 4mm darkened tempered glass side panel, and 3 pre-installed 120mm RGB fans that can sync'ed with your motherboard. It also comes with a direct air-flow system which allows for superb cooling, and if you want to install a custom water cooling, it has enough space on the top and front for large radiators up to 360mm. 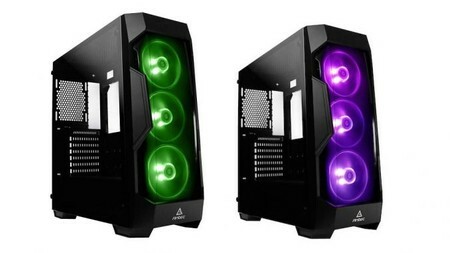 Antec DF500 RGB Case kaufen.